Leadership is one of the principal functions of management that provides direction for a company. A leader influences, inspires, guides, leads and directs other members towards achieving the goal of an organization. He/She impacts employee motivation, their performance, quality of their decisions and is, unarguably one of the major factors that decides the eventual success of the organization. A leader's role in an organization can be formally assigned by his or her position, like manager or project lead, and it can also be informally assumed by an employee who possesses certain qualities that makes others follow him/her. Informal leaders possess strong charisma, a positive attitude, motivates others and put in effort to attain organizational goals. Important difference between formal and informal leader is that formal leader is officially required to manage his team and is responsible for results at the end. Informal leader do not have any such official responsibility towards attaining the goals of the enterprise and may not be accountable for the final results. · Team members often address concerns and issues with informal leaders that are not shared with managers. They might be more comfortable with sharing their problems with a person who doesn’t have an official authority and will not affect their careers adversely. · Top leaders as well as formal authority figures have a number of issues that they need to focus on. A person with informal authority, however, is free to focus on smaller issues or a singular issue. It helps in giving a serious time focus on these issues and ease the work load of formal leaders. · Formal authority operates within hierarchy and protocols. Informal leadership doesn’t have such restrictions. They are not shackled by policies or protocols. This freedom can be advantageous to the organization in many aspects. · Informal leadership has the freedom to not always be politically correct or do the popular thing. They need not be figure heads or role models. They have the freedom to voice their views and what they deem right. 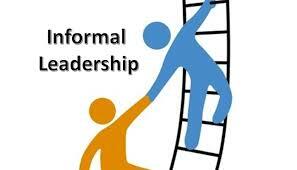 · Informal leaders are important to any change initiative. They can influence the other members by making them more adaptable and accepting of the change. 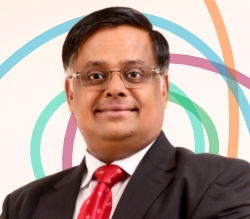 · They have a first hand knowledge of how policies and process influence employees. They can observe/interact with the employees and give valuable feedback to the management about what works and what does not. Informal authority has its advantages, but also limits. Since an informal leader can be anyone in the team, the groups might tend to choose a leader based on superficial reasons. Informal leaders also cannot exercise any sort of authority in order to get tasks done, which can become frustrating for them. The informal style may also led to development of many power centres and can lead to confusion among employees. If they are not on the same page as the formal leadership, they may create a negative vibe that impedes progress and become a liability to the organization. · Once the informal leaders are officially identified, you should ask them to take responsibility for an initiative. Your confidence in them would boost the results they achieve. · You should understand your informal leaders' strengths and weaknesses and allow them to define their own role. 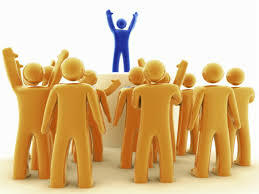 · Management should certainly reward informal leaders for their support. This could be financial incentives or public recognitions. · Give importance to their inputs and concerns, and make them a part of your strategy decisions. With them inside the decision loop, they will feel a sense of ownership and will be more willing to actively support your decisions. · You should have developmental assignments in your organization to push more people into taking up informal leadership roles. · You can conduct leadership development program for your informal leaders. Remember, the informal leaders of today might be the formal leaders of your organization in the future. You can empower them with the knowledge which will expand their capabilities.